NEW! 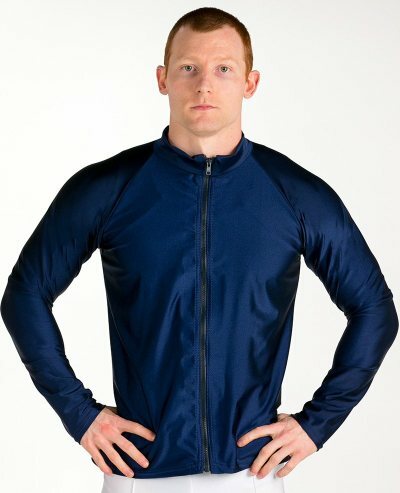 We are now offering 1 color Boy's and Men's warm up jackets! Add your team name or logo anywhere on the jacket in our matte sequins for an additional charge, just call and ask! Our sizes run different than other leotard companies you may be familiar with. Please refer to our size chart for proper sizing of your gymnastics compression shirts (aka boy's gymnastics leotard or step-in shirt). If you are purchasing for a team, please call 888-496-3441 and ask about our sizer packs.